Vladimir Putin has ordered a memorial to all victims of political repression in Russia’s history. The work named “The Wall of Grief” will be installed on a Moscow street named after famous dissident Andrey Sakharov. Vladimir Putin also charged the Russian government with finding sources to finance the project. Sources in the State Museum of Gulag History told Interfax news agency that “The Wall of Grief” monument will be based on a draft created by sculptor Georgy Frangulyan. The museum has already started to collect donations to finance the project. Frangulyan is known as the sculptor of the monument installed on Boris Yeltsin’s grave. 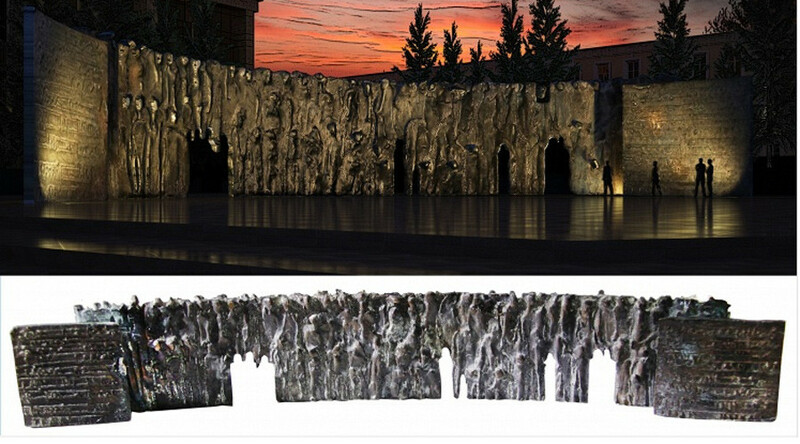 “The monument will become a warning to coming generations that tragic consequences of authoritarian policies touch everyone and can be repeated at any given moment,” reads the author’s description of the Wall of Grief sculpture. There is already a monument to victims of Stalinist purges in central Moscow – the so-called Solovetsky Stone stands in front of the building that once housed the KGB and its predecessors, the NKVD and Cheka. It stands where the statue of KGB founder Felix Dzerzhinsky used to be. Since 2007, the Memorial Society – a Russian NGO whose major objective is uncovering the crimes of the Stalinist regime – has held the “Returning the Names” event near the Solovetsky Stone. Every October 30 - the official state memorial day - activists read out the names of people who were executed in the 1930s for their political beliefs. The process takes hours. According to the Memorial NGO, about 720,000 death sentences were passed in the Soviet Union in the 1930s – the height of the Stalinist purges. The group says 30,000 people were executed in Moscow alone during the “Big Terror” of 1937 and 1938. However, there is opposition to the current trend commemorating repression victims. It comes from the Communist Party of Russia – presently the largest opposition party in the country. Earlier this year, after PM Dmitry Medvedev approved the concept of state policies aimed at remembering the victims of political repression, the Communists launched a public appeal saying that any future monuments must commemorate not only of those who were unjustly prosecuted during the Soviet period, but also the victims of all other regimes. In addition, the Moscow branch of the Communist Party proposed a 25-year moratorium on the renaming of streets and squares, and the removal of monuments, saying that attempts to delete facts from people’s memories harms Russian history. The initiative was advertised in the press, but failed to gain any momentum.